This is a collection of good manual lenses which are available for less than $100, it is meant as a resource for photographers who own a Sony a7/ a7r/ a7ii/ a7rII and want to discover the world of manual lenses without breaking the bank. To learn more about a lens please check one of my reviews or follow the linked test. You will find the average price for a copy in good condition in the description for each lens. All links market with a * are affiliate links. If you use them I will receive a small commission on your purchase without any additional cost to you. So if you found this article helpful using them is a great way to show your support. Thanks! You can find this article in German on phillipreeve.de. This would be my suggestion for someone looking for a small, sharp and affordable wideangle lens to take landscape images. Weaknesses are mustache distortion and mediocre built quality. I haven’t used this lens myself (yet) but going by other photographers results it delivers a very even sharpness across the frame. It is also small and very affordable. 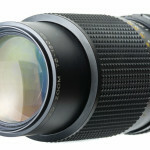 This is a very sharp lens which also happens to be very small and affordable. It has quite a bit of field curvature. 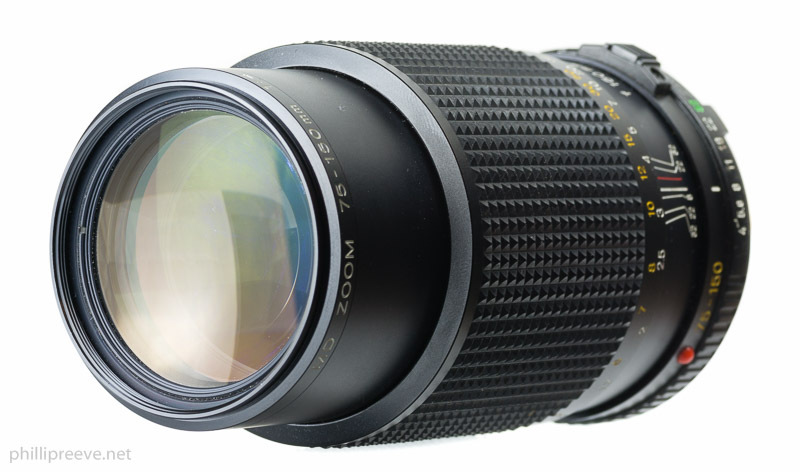 This is a very sharp lens which also happens to be very small and affordable. Downsides are average build quality and only 5 aperture blades. At f/1.4 it is the sharpest ~50mm lens I have used so far. I think it is a very good lens to get started with. The field of view is handy for many applications and the fast aperture allows you to create images with very little depth of field. Bokeh is okay but not great and you need to stop down to f/5.6 for very good corner sharpness. Not as sharp as the Canon at f/1.4 but I think it has nicer bokeh at f/2. The older MC version is heavier and feels more solid than the younger MD versions. There are three optically different versions but the differences are not big enough to worry about them. Weaknesses are only six aperture blades and you need to stop the down to f/5.6 or better f/8 for very good corners. I haven’t used an affordable 50mm lens with more even sharpness than this, the corners at faster apertures are much better than with other versions. My choice for a hinking lens when a small size and good sharpness matter. Built quality and bokeh are okay but not great. About any manufacturer like Minolta, Canon or Olympus sold a 3.5/50 Macro back in the day and any of those is a good buy. The Sigma is in the same league optically but it is a bit faster and most importantly it does 1:1, not 1:2 like all the other macros. The build quality is clearly worse than that of the major brands. Not the sharpest lens but sharp enough and it has very nice character and build quality. My choice when I want a small normal lens with good bokeh. Great bokeh and good sharpness at f/2.5 make this a very enjoyable portrait lens. Built quality is great and it isn’t too large. 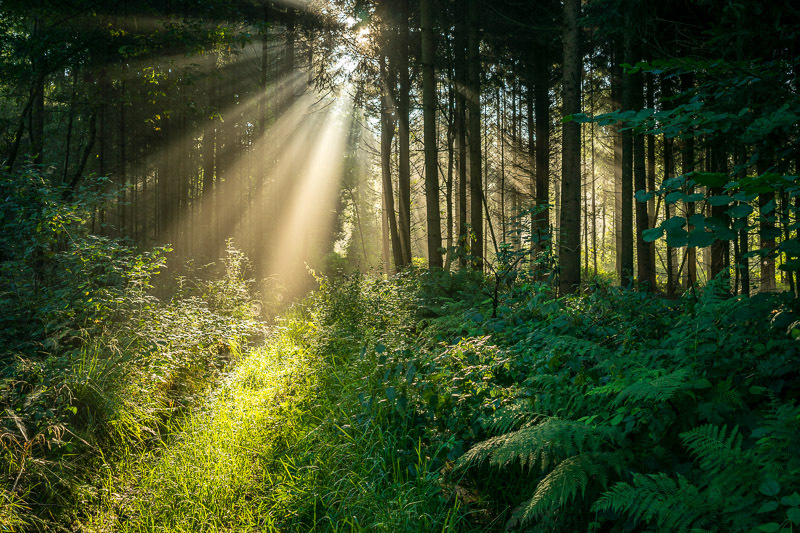 The only real weakness of this lens is that it is very sensitive to flare. It doesn’t set any records but it is a solid lens very well suited for portraits. If you are looking for a very affordable portrait lens this is a good choice, bokeh and sharpness are good (but not great). Built quality isn’t great but good enough. 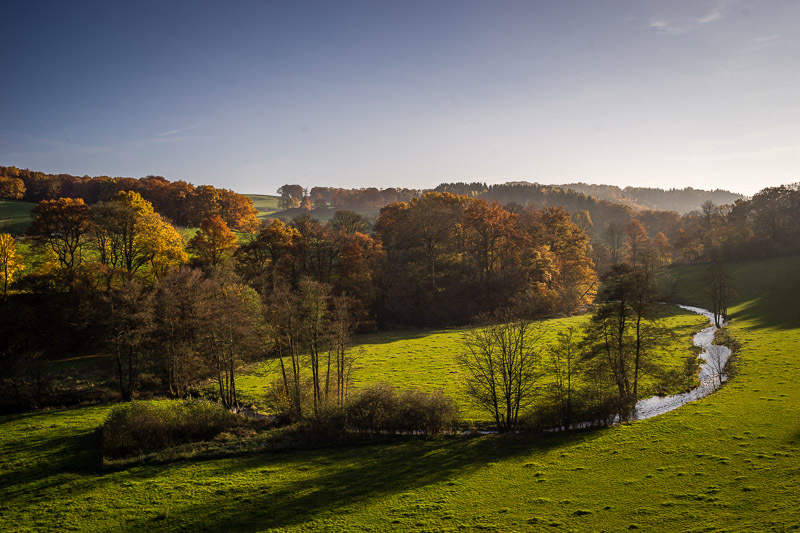 I was surprised how sharp this lens is across the frame from f/4, a great solution for landscape photography. The lens feels very solid but the rather stiff focusing ring makes it less ideal for moving subjects. I also don’t care for the very obvious CA outside of the focal plane and it’s proneness to flare. A useful focal range and a handy 1:4 macro-mode make this a very vesatile lens. In the 40-70mm range it is as sharp as a good prime lens at f/8, only at 35mm the corners are a bit soft. Contrast and bokeh benefit noticeably from stopping down to f/5.6 and distortion at 35mm is a bit high. A small tele-zoom which is as sharp as the corresponding primes, only at 150mm it get a little softer towards the corners. Weaknesses are some distortion and CA outside of the focal plane. To make it into this list I must have either personally used a lens or someone else must have published a well done test and some full resolution images. 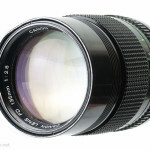 I will only add lenses which meet my subjective criteria for a good lens and I want to avoid having too many very similar lenses in this selection. 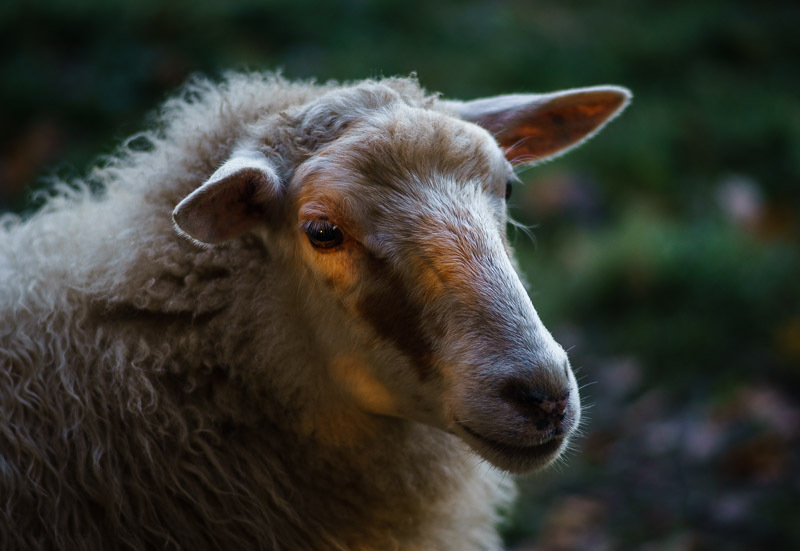 If you think I have missed a lens please tell me about it! But don’t forget to link to meaningful tests and full resolution sample images. Great article. These older manual photo lenses are perfect for shooting video too. Can someone tell me how do these glasses compares to the Minolta AF glasses ?. I have the 20 f2.8, 24 f2.8, 28 f2.8 and 50 mm f2.8. 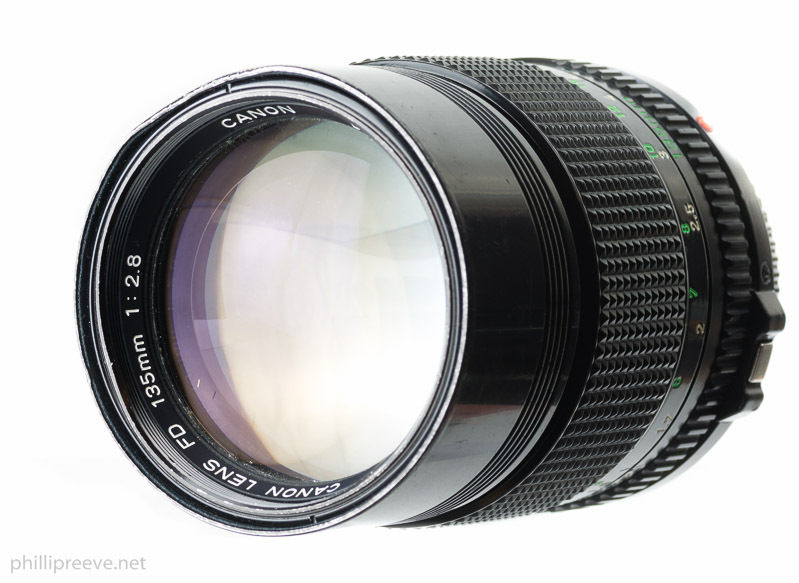 I do own a wide set of Canon FD lenses (from 20mm to 500mm) that I use on A7R. While me expensive, here is a quick list of my favorites FDn lenses I own: 20-35mm f/3.5 L, 28mm f/2, 35mm f2.0 (the f/2.8 is very good too), 85mm f/1.2L (expensive but just amazing) and f/1.8, 100mm f/2, 80-200 f/4L, 50mm f/3.5 macro. The 50mm f/1 4 is good. The 24mm f/2 and f/2.8 are also good but I prefer the L zoom. I have performed imatest tests of those as well as comparison shots. They confirm this selection. Love your images and great effort. 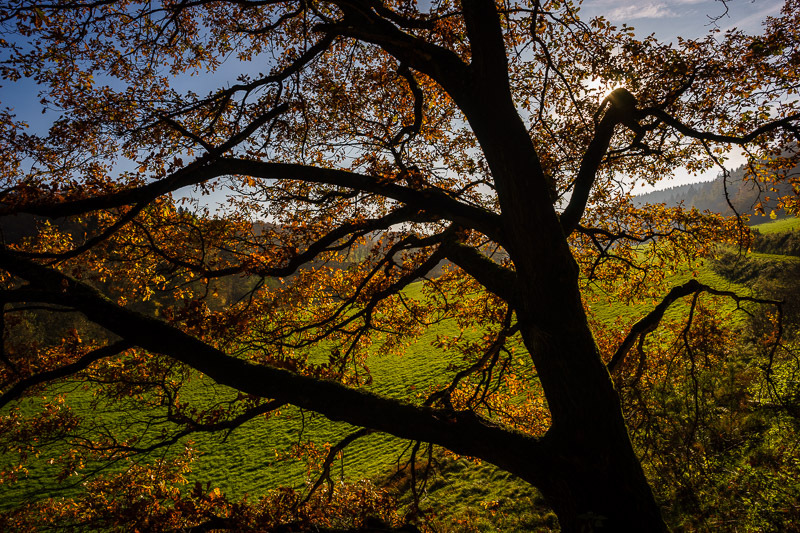 Have you tried the Nikkor lenses? I have 2 versions of 50mm 1.8 and a 135mm 2.8 manual focus. My own test beats a Takumar 55mm f2 and Pentax 50mm 1.4. Would appreciate some comments. Any 85mm that you would recommend for portrait shooting? I’m researching it right now, and… no. The only cheap 85mm is Jupiter-9. All the other good ones are at $200 and up 🙁 like Nikkor 85mm 1.8 H.C. for example. Thanks! Looking forward to reading it! 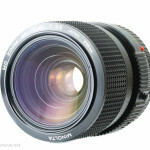 I have picked up a few Tokina manual lenses including a Tokina 100-300/f4, 80-200/f2.8, 400/f5.6 and also a 150-500/f5.6 . Looking forward to your findings on the canon 80-200/f4. BTW, I am still unsuccessful with figuring out the pixel shimmering method of focusing. I wonder if you have tried that on the A7RII? I recommend the Zenit 58mm F2, The lens was made in the former soviet union (I got my copy with an old film camera they made in the 80s that I like to use as a prop as well as being a neat historical item) The lens itself was based on an old Zeiss design from before WWII. When the Soviets invaded Germany during the war they procured Zeiss’s equipment and produced the lens for decades. 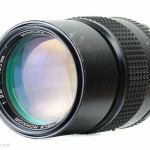 I own that lens and I think it is an interesting one, mostly because of it’s swirly bokeh. But I think it is interesting because of it’s character, not because it is a very good lens. If I ever publish a list of character lenses then I will certainly include it. Nice list. I recently inherited that Minolta MD 50mm f/2. I’ve been dying to try it out on my a7II. Looks like your little review just pushed me off the fence about buying another adapter. Newbie question: I have some manual lenses but gave up due to things like curvature and distortion. What is the best way to identify such things in Lightroom and then automate the correction? what type of adapter do you use for the MC/MD leses? There are many different types on the market but they mostly say that they work with the NEX camaras and may have problems with the A7 series, in particular with the Mark 2 types? Can anybody recommend an adapter which definitely works with the A7 II or A7r II? The Novoflex adapter works fine with my a7ii. All my other adapters are no-name-adapters. I am pretty sure that people will mention on Amazon if an adapter doesn’t work with the second generation of a7 cameras. Thanks for fast response and compliments for your site! I use this adapter (Neewer but it branded as FOTGA on the adapter) with the A7RII.. Works fine. I found a couple of ebay listings for the minolta md 135 2.8, but they seem to have different manufacturers – what does this mean? The Minolta branded ones are quite a bit more expensive – is it worth it to go for one of those? What are these 3rd party branded lenses? I own one and I think it is more of an effect lens than a serious lens. Great reviews. Just to add a lens in here. The Pentax super takumar 50mm f1.4. It’s a very good lens and works perfectly with my new a7. Paid £60 on fleabay and it’s awesome. Got a k&f concept adapter from Amazon for £10 and all works great. Thanks for the info. This is so difficult t make suggestions as prices vary so much on Ebay. 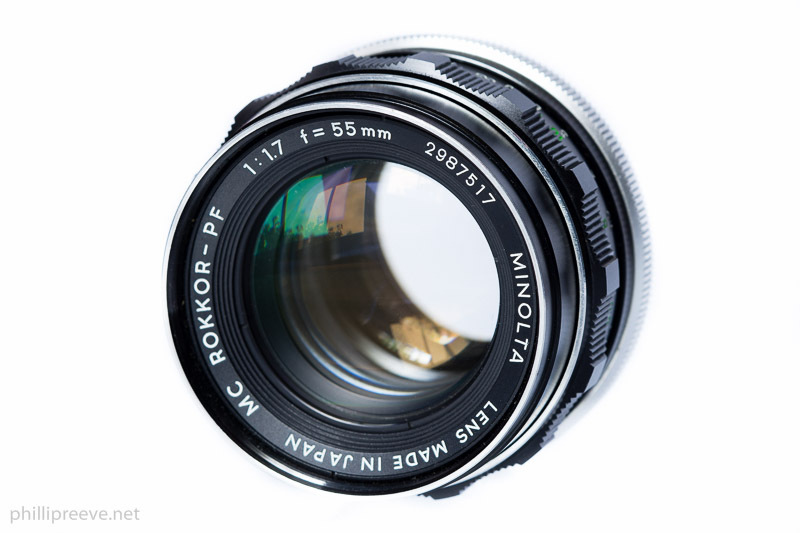 Got a Minolta Rokkor 100mm f4 macro for 64€ including freight but they can be 3 times this price, the rokkor 24mm f 2.8 at 75 € was hardly more and the 135mm f 2.8 even less (50+10€). 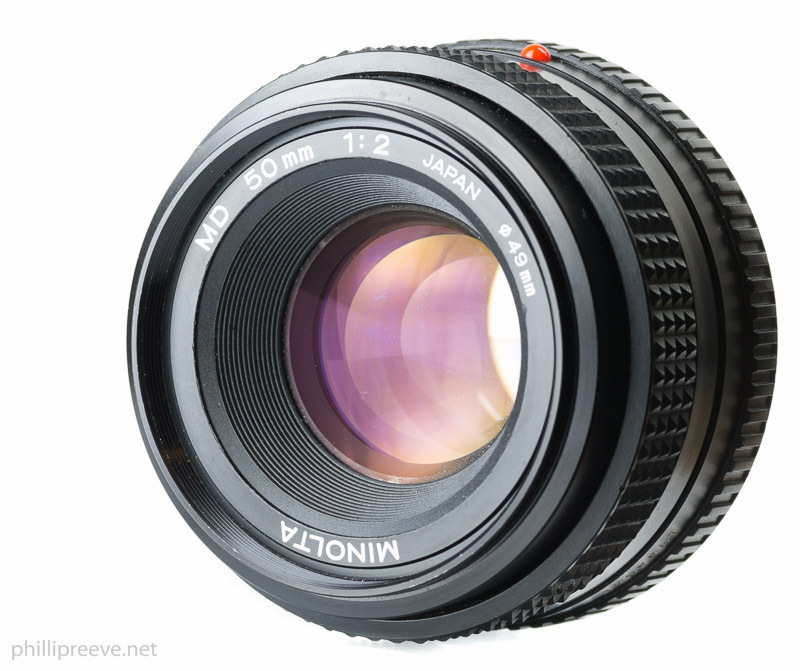 The 28mm f 2.0 did not make the “cheap” cut at 110€ though. On the other hand, I paid far too much for the 85mm f 2.0 at 300€ (I had not planned for Customs as I bought it from Japan…) as expensive as the 200 mm f2.8… from Germany. Patience and taking opportunities are the rules of the game… but I am now done with it. Hey, first and fullmost your reviews are priceless and thank you so much for the time and effort you put into them. 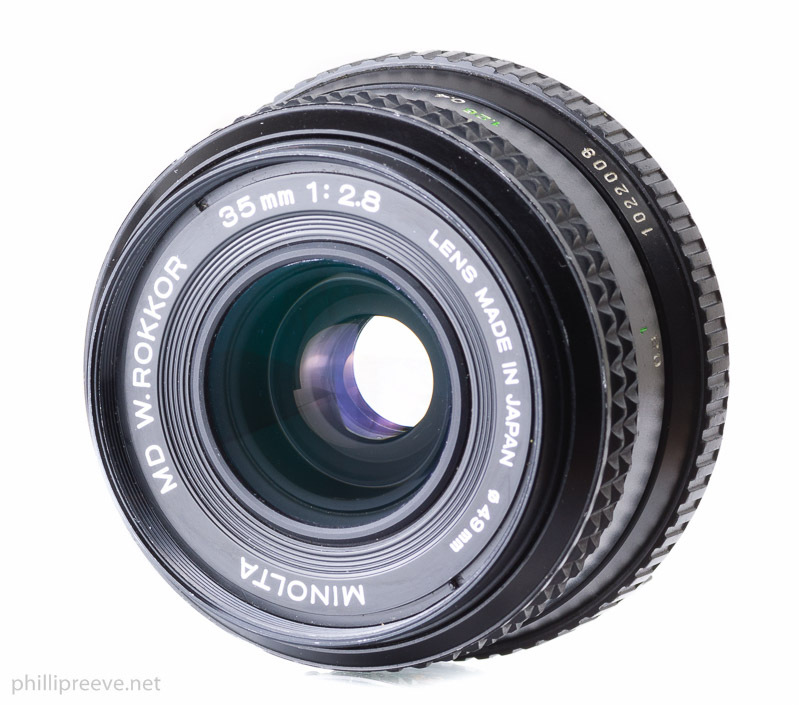 So i have two questions for you… My first question is will you do a review for the Minolta 35mm F/2.8? 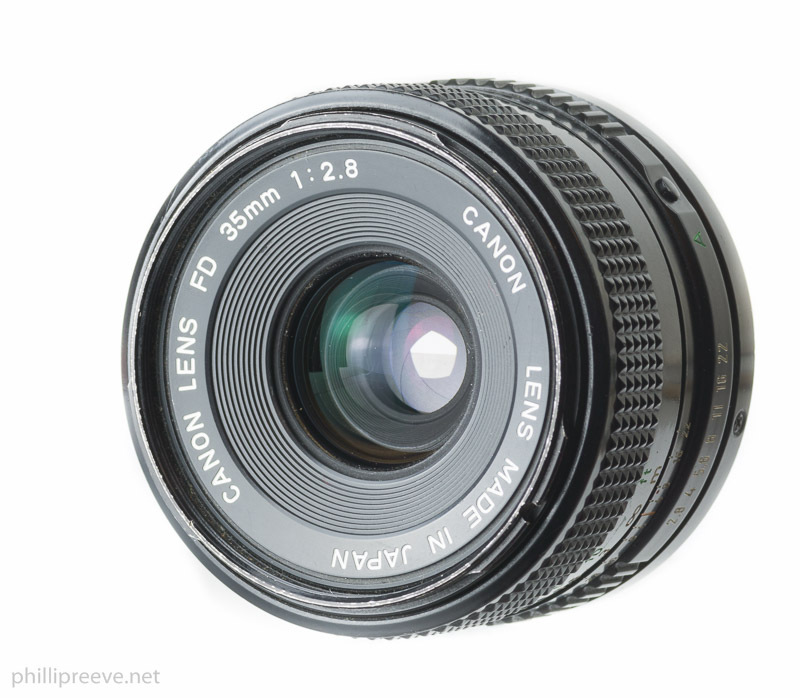 I notice the link for that lens directs to the Canon 35mm F/2.8, i guess because they are very similar but it would be nice to have a review solely based on the Minolta 35mm F/2.8. Now my second question for you is these are ‘budget’ manual lenses but what would ultimetly be the best of the best manual lens while still sticking to the ‘older’ or ‘vintage’ lenses that you have used regardless of budget for landscapes? You recommend the Canon 24mm F/2.8 the best budget manual lens for landscape so in your opinion what manual lens out does that lens regardless of budget? 🙂 I hope to hear a reply from you and just to note this would be for my Sony Alpha A7. Yes I will review it and it is quite high on my priority list. I would probably pick the Zeiss C/Y 2.8/21 as best vintage landscape lens but boy, that lens is expensive. …and oh my goodness that’s a high price indeed…. Hi Philip, sir, thank you so much for doing this, I must have spent days, long hours, trying to decide which way to go as I “believe” in the vintage lenses but the flare in most of them is a stopper for me. So again, thank you for doing this. While I am not too impressed with the Minolta ones, I think I will build a collection of FDs and Zeiss ones..
You are not impressed with the Minolta lenses he mentioned? I’m suprised! 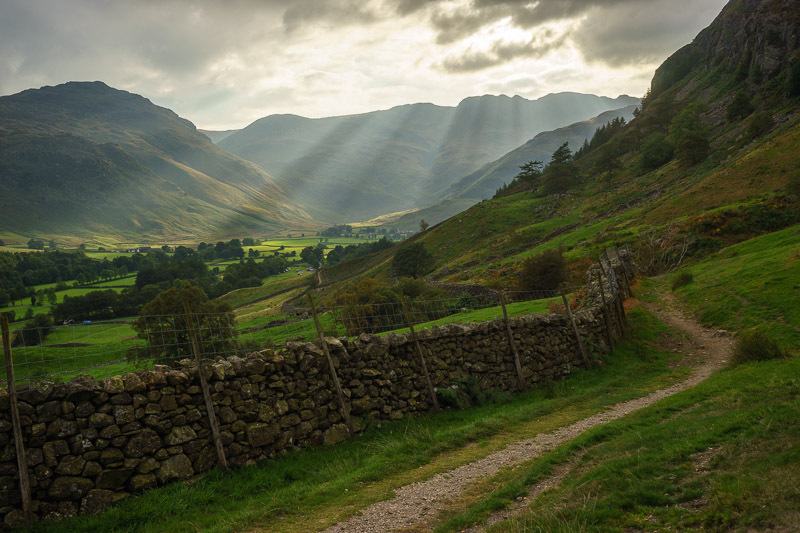 I’ve taken breathtaking landscapes with my Minolta MD 35mm F/2.8, yes i know it’s 35mm and not 20mm lens or around 20mm which is where it should really be to qualify as a ‘wide angle’ but nonetheless i would have to disagree with you. That being said, modern day lenses will always suit me better personally. At present, I have a Sony A7 and Canon 24-105 lens. Thanks for wonderful blog. I am just happy new owner of A7. I would like to buy some good not-expensive portrait lens. 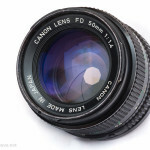 What would you suggest : CANON FD 50 MM f/1.4 vs SLR Magic Cine 50mm f/1.1 ? Cine is more epensive(350$) but with aperture rotating smoothly just like the focus ring + f/1.1 + E-mount. As I am just rookie I do not know if this advantage is wort money diference. 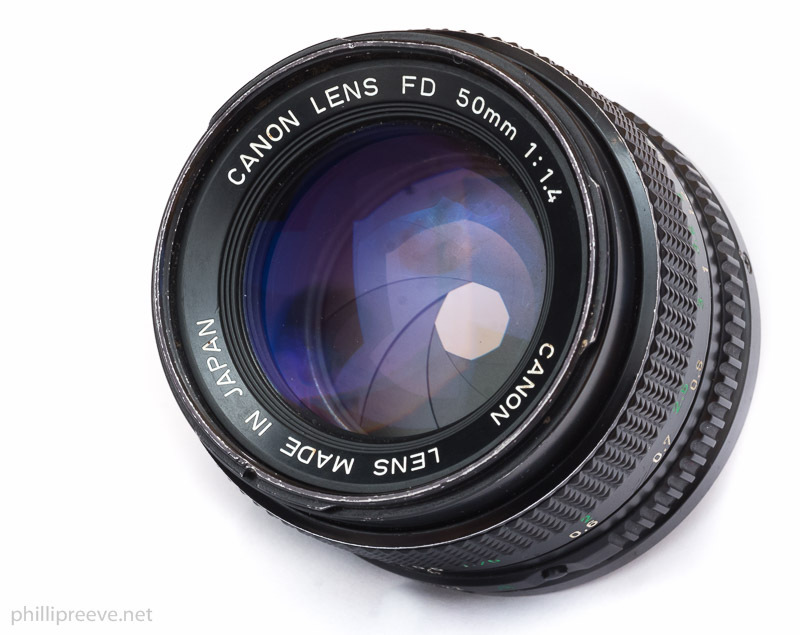 And as a Normal lenses – around 50mm – What would you suggest : CANON FD 50 MM f/1.4 vs SLR Magic Cine 50mm f/1.1 ? Hi Phillip, what do you think about the Rolley SL – Xenon 1.8/50? Sounds like a renamed Zeiss Ultron 1.8/50. There were 3 series. The second series is the best. I have 2 German Zeiss Ultron, one in M42 and one in BM mount. 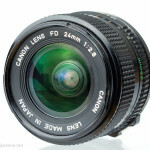 They are among my favorite “normal” lenses, mainly for their bokeh, small size and weight, but quite expensive. My other favorite is the Contax N Zeiss Planar 1.4/50. It is extremely sharp even at f/1.4 and has fantastic bokeh. However, it weighs a ton and looks like it. With the FRINGER adapter, the Contax-N lenses will autofocus on the A7RMkII. The Contax N Zeiss are all excellent but expensive, light years ahead of the C/Y or Rollei Zeiss. Thanks a ton for compiling this article. It has been the starting point for my manual lens collection on a Sony mirror less camera. Thanks for the reviews Phillip. I’m new to manual lenses. Would I be able to use the Olympus OM 3.5/28 lens (and the adapter you listed) on a Sony Alpha a6000? Thanks! Thanks for getting back to me. Have you written anything or could you point me toward recommendations on affordable manual lenses for the a6000? Wide angle specifically. Hello Phillip. I have consistently used your site for reference, whilst buying lenses on eBay for my Sony a6000. 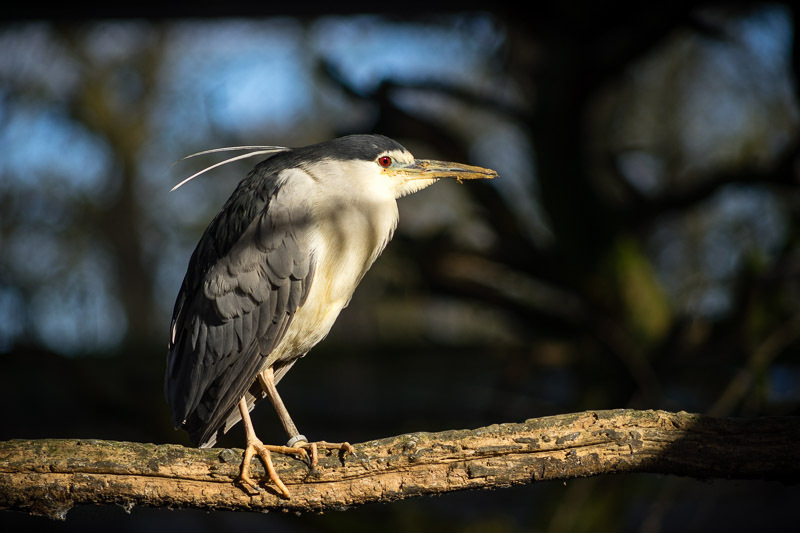 Your sample images are superb and inspirational in quality , they have given me the confidence to invest in Minolta as a good entry to the vintage lens market . However, being based in the UK and shopping on eBay.co.uk I’m not sure that any affiliate money is going to get to you . How bout a donate button ? Sigma 2.8/50 Macro. Which mount you mean? FD? Doesn’t really matter mine is an MD mount but if you have an adapter for FD use that mount. I just ran across your excellent blog and wish I had seen it sooner. I bought an A7 body about 1-1/2 years, ago at what was then a great price, I upgraded from a NEX6. I have bought and sold many different lenses on eBay and I discovered that to my eye, there was no difference between the lenses I now have and the Leicas and Voigtlanders I tried at first. I evolved a lens acquisition strategy which is to spend less than $100 on any lens. 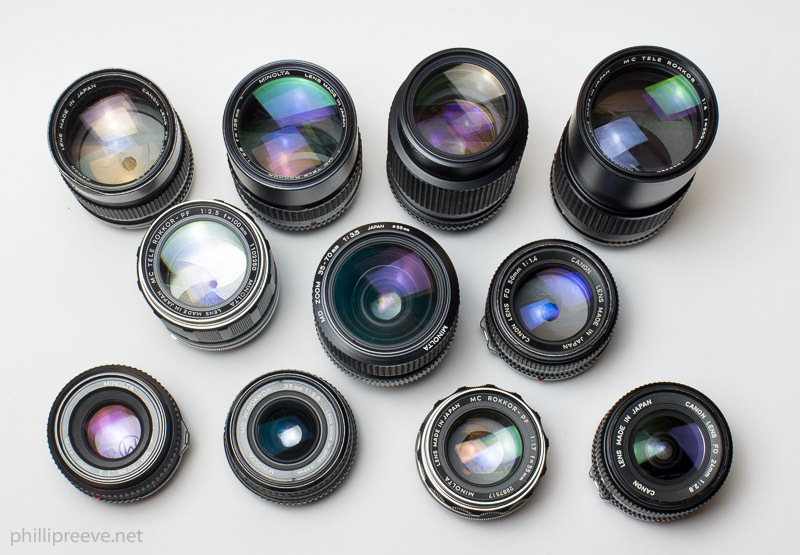 My favorites lenses now are a Canon FDn 24mm f2.8, Konica Hexanon AR 40mm f1.8, Takumar SMC 55mm f2, Nikon E 100mm f2.8, and a Carl Zeiss Jena 135mm f3.5. I also have a Canon EF 28-135mm zoom that has image stabilization, the autofocus speed is so-so but when it locks, its is spot on. I set the big button in the middle to focus magnification, I can always find it without looking when I am composing a shot through the viewfinder. Thanks for your continuously excellent work. Is it possible you can provide a link to the uk ebay for the Sigma 2.8/50 Macro? Great thanks! 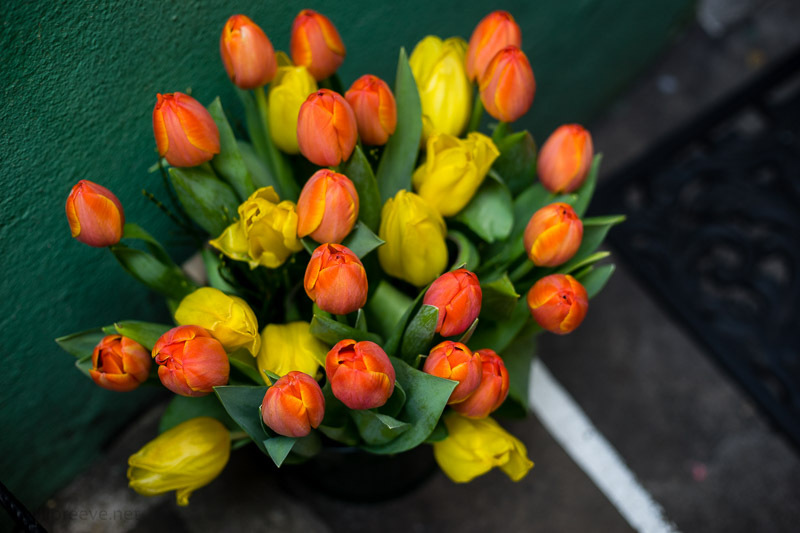 I’ve got a Canon FD 50mm 1.4 SSC (that one with the older breech lock mount) and i think that it´s very glow and not very sharp at maximun aperture. Stopped down is amazing. Do you think that de FDn version is better than the S.S.C. version? wich Minolta 50mm 1.4 version do you recomend: rokkor, rokkor-x or rokkor-pg? and another question: do you recomend FD 35mm f2? or exist any minolta version better than FD out there? Sorry for making too much questions… and thanks!! I have never used the 1.4/50 SSC but going by your description I would say that the nFD 1.4/50 is better that that, just check the full resolution images in my review. All those names were used for the very same lens: Rokkor-X was the name for the American market and the PG was dropped during production of the very first version the MC 1.4/50. It is the most solid but optically all Minolta 1.4/50 are very similar. The older MC is a bit heavier and feels more solid. Been enjoying your reviews on manual lens which made me buying a Canon FD 50mm for my A7 few weeks ago. It’s been great for me as a newbie. 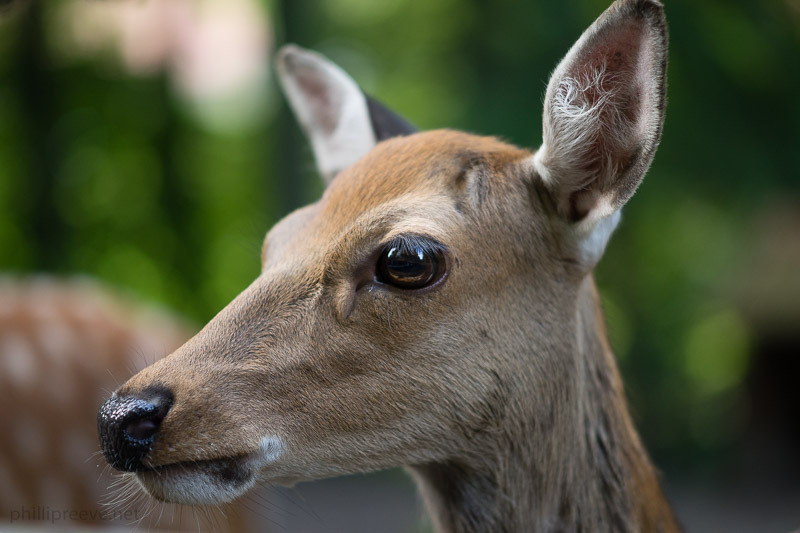 I’m interested in shooting wildlife, but I only have around $200 to spend. I wonder if you have suggestion what tele lens should I buy, something like 200mm or 300mm. Apart from that, I’m also considering to buy a Hoya HMC 135mm F2.8 because the seller offers pretty good bargain. Thanks for your suggestion. I’m looking for it now. Hi, Phillip. I found a tamron for adaptall mount but I’m not sure about what adapter should I buy. I only found adaptall 2, meanwhile the lens is for adaptall (without 2) mount. I havent found any clear cut explanation on whether or not I can use an adaptall 2 adapter for my a7. Curious to know what adapter you’re using with the Sigma 50mm macro? Didn’t see a link. Thats because the Sigma came in many different mounts. Thanks for the wonderful blog post. Can you recommend anything in the ultra wide angle that is good and affordable? 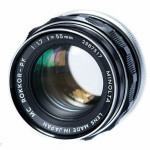 I know there is an older Canon fd mount at 17mm but I have READ that it is not so good, and it is sold used for about $300 (no actual experience with it). BTW: Prices seem to be going up quite a bit (at least here in the States) on the older Mnolta and Canon lenses. steals — the Mamiya 55mm f1.8 m42 — damn sharp at f2.8 on up. The Bokeh is lovely. Really nice comparison! I love the way you can quickly spot the way each lens renders. If you could make some more of these that would be really appreciated. Thanks for good review! Are they bad for a7s? First of all, thanks for all your work here and all your effort! I’ve a long Canon shooter but after I’ve bought a Sony a6000 for my travels (and thinking about a A7 mk2 in the future) I started to search for old MF lenses. Any recommendation for the focal between 100 and 200mm? Something to include a good Macro lens too? Canon FDN 200/4 and Canon 100/4 Macro or even the FD 135/28 maybe? thanks but it seems to exceed my budget (>250$). Also, something light and optically good around 200m what you recommend? I bought the sigma 2.8/50 based on this article but unsure what adapter I need. Can you help point me in the right direction? nif c? Never heard about that. That depends on which mount your Sigma has. It came in many different mounts. If you tell me the mount or show me a picture of it I can help you. Appreciate the help! I bought it out of impulse and now I’m kind of concerned, since I don’t know how I’m gonna figure out which adapter I need. Can I have your email address to send you a picture? I’m looking for a tele (70-200 or similar for my Sony A7R2, any advice? Fantastic write up, thank you. Just ordered the MC 50/2 to try for landscapes. Any suggestions for a super wide (15mm or so) fast lens (prefer F2 or better vs F2.8) for night and Aurora photography? Would generally be shooting wide open and still be hoping for sharpness across the frame. 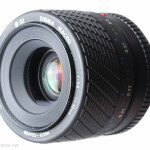 I’ve seen a newer option is the Samyung 14mm f2.8 at about $350. That’s manual focus anyway so if there a cheaper or sharper lens you suggest? I hope you meant MD? Because the MC version is optically inferior. There is not alternative to the Samyang 2.8/14 for your needs. Thanks Phillip, and yes I did mean the “MD” version :). PhIlllp how would these lenses hold up on shooting film? is there any website or link that you would recommend? Love the blog sir, keep it up! Very little experience with film but in most aspects it will be more forgiving than a modern 24 MP camera. Thanks for the list. 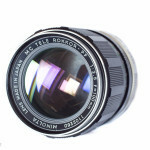 I am wondering if you have has a chance to use a MD Rokkor-X 45mm F2 lens? I have read and seen some pretty strong reviews for this lense, particularly regarding sharpness. I am a novice and just getting in to adapting manual vintage lenses to my a6000, let’s just say that I’ve caught the bug. Any thoughts on the 45mm rokkor-x? 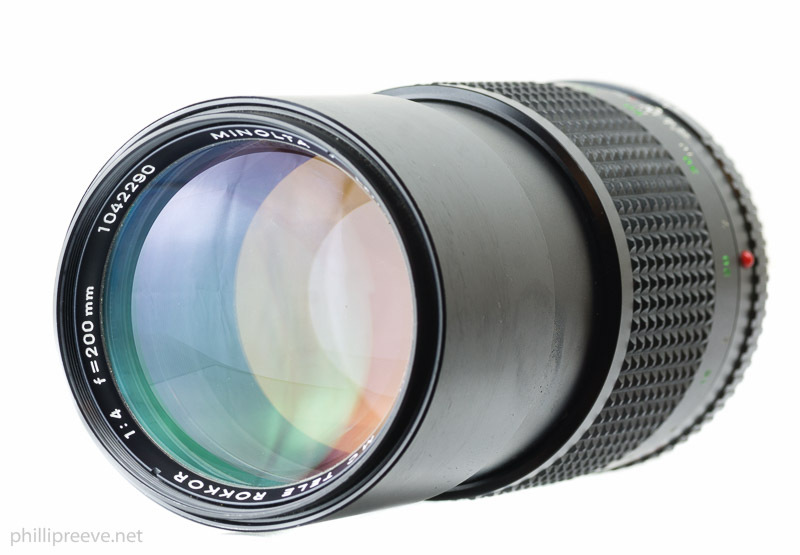 With the asp-c adjustment in range I’ll also need a shorter distance lens for indoors, 24-35mm, IL likely end up with a few with a little luck at my local thrift stores, fingers crossed…. thanks for your articles, useful and clever. I still work with Nikons, but my Sony enlarge my photography since few weeks. 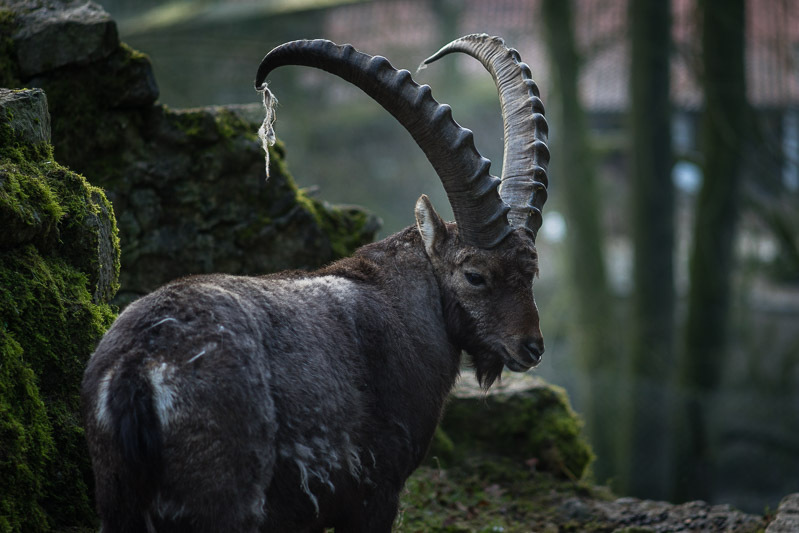 I personaly use a Minolta 135mm on my A7II and I found it nice. It’s very sharp from my opinion, but I get purple franges, not so easy to remove even with Lightroom tool. Do you think I’ve a ‘regular’ copy ? I am waiting my Minolta 45mm pancake, I’ll see that one too. Whats the best budget or cheapest manual lens with decent quality for shooting 4k videos on the Sony A7R II and what adapter? Any experience w/ Leica R lenses on Sony A7Rii? Have a collection of them. Native lenses seem easier to get sharp focus but color on the Leica keeps me coming back. Any special challenges in adapting them to the Sony? Just tried a few of them once. Seemed to have great mechanics and solid optics. Adapting them is easy, no challenges there. There are lots of versions of this lens, but the best is the third one, which serial number starts with 28xxxx and its made by Komine. I have used this lens for a couple of weeks with my Sony a7 and its a dream, so sharp, so good quality and no CA at all. Definetly recommend this lens!! 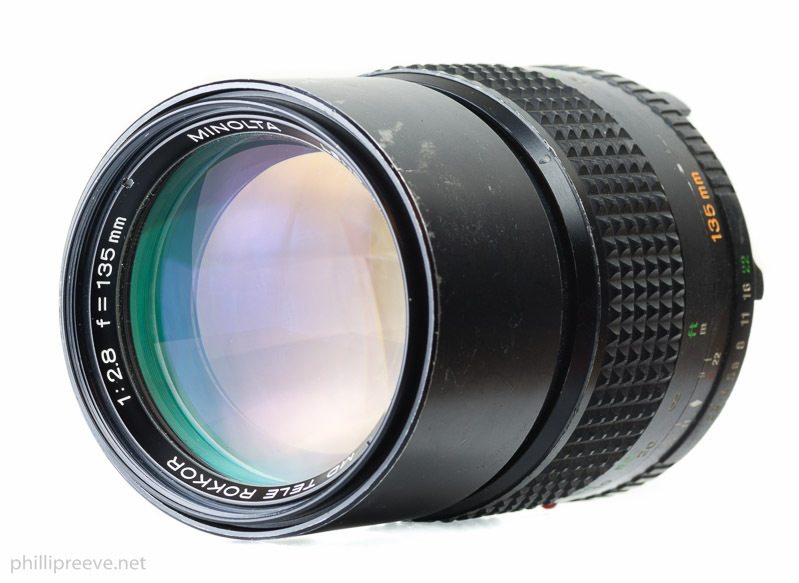 Also you should check out the Vivitar series 1 70-210 2.8-4.0, its a legendary zoom lens! With all vivitar series 1 lenses there are many versions and different manufactors, so you just need to do some research and find which are the best ones. Basicly all the earliest models of series 1 lenses are fantastic, but later versions are plasticy and just crap. Also the Vivitar Series One 90-180 f4.5 CF “Flat Field Macro”. One of the very few lenses that really is a macro that zooms, rather than a zoom lens that ‘sort of’ does macro. Optimised for 1:10 and goes to 1:2, or 1:1 with its matched TC. I like it a lot as a butterfly and flower lens. 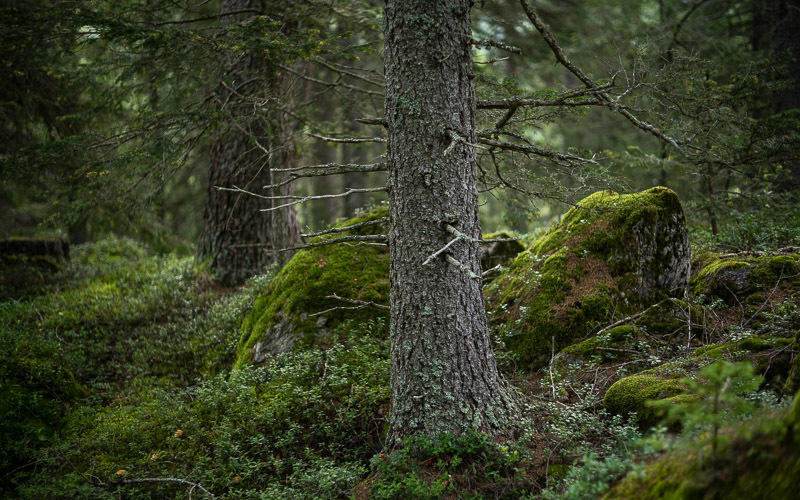 f/4 – 200mm Rokkor for landscapes? Are these lenses full frame? Hi Phillip, Many thanks for this article. I’ve Sony A6000, and looking for a zoom lens. I’m confused between Minolta MD 35-70mm f/3.5 and Olympus OM-Zuiko 35-105mm f3.5-4.5 . So , which of which ? and what adapter fits for each lens ? Are those lenses also a fit for the Sony A6000? Allow me to ask you some advice. I have the A7RII and the FE 28/2 I wanted to get the Zeiss 55 1.8 but it is too expensive for me at the moment. So I’m looking for a lens for versatile photo and video (filmaking). 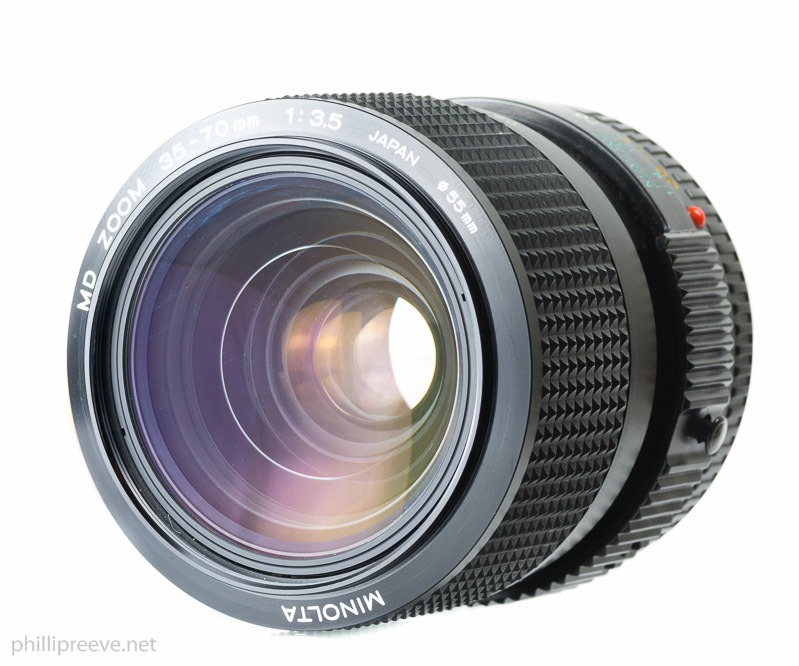 I was thinking of an old optics such as the Minolta MC / MD Rokkor 1.4 / 50 or in any case an alternative to the FE 55 1.8. Love this blog, Thanks very much! I just got an Alpha-7 and am discovering photography. I would like to get a macro lens for close ups, for bugs and creepy crawlies! 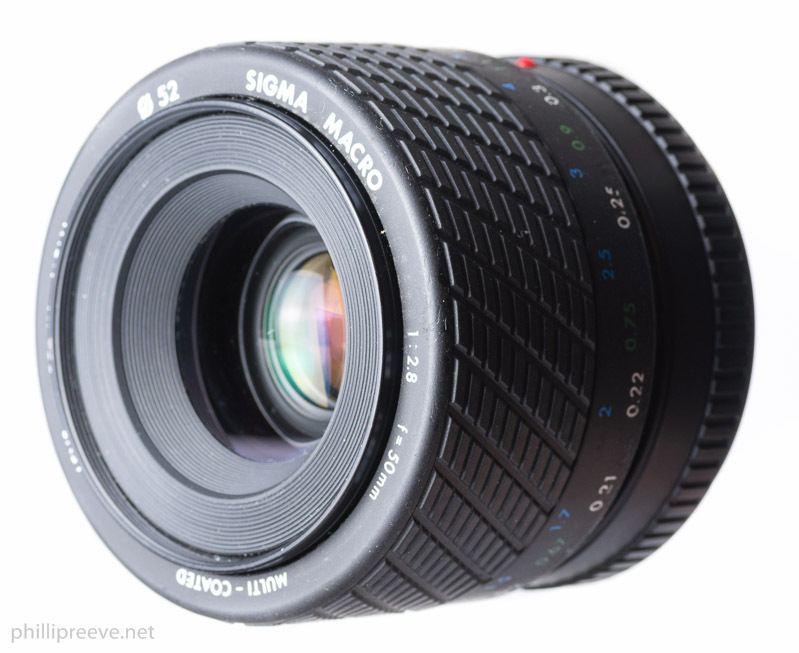 Sigma 2.8/50 Macro, looks great, but it doesn’t mention needing an adapter? I know nothing about lenses yet, do I need an adapter for this lens please, for Sony A-7 ? Yes you do. There is no link to an adapter because the Sigma comes in many different mounts. Thanks, so I guess I just ask who is selling the lens, if it comes with a mount, and if it fits the Alpha-7 ? cheers ! 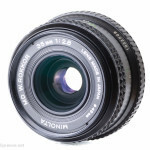 I noticed that you recommend the Rokkor 55mm f/1.7 for the soft bokeh, over similar lenses. What do you think of the Rokkor 58mm f/1.4? 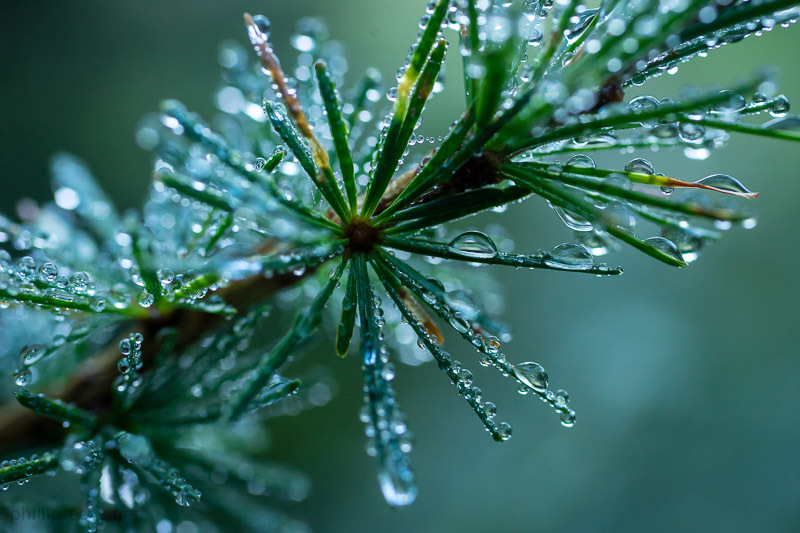 Do you find its bokeh harsher? At f/1.4 certainly. At f/2 not really. So, if my priority is staying as bright as possible on a budget, should I better go for a Rokkor or Canon FD 50mm f/1.4, or the aforementioned 58mm aforementioned is a good choice? Great articles from your website. Based on these articles I bought the Minolta 55mm f1.7 and now the Sigma 50mm f2.8 macro. I know others have asked regarding the mount, but I bought the “Sigma 50mm F 2.8 Macro lens for minolta Maxxum and sony alpha mounts”. I am confused as to which adapter should I buy. The Metabones Alpa to Sony NEX? A few adapters on Amazon clearly say they don’t work on Sony a7r II. Please share some input on this one. many thanks for your articles, I learnt a lot from you. A lens I would recommend is the 4/20mm Nikkor. I had used it on a Nikon body and now on the Sony A7RII. It is small, lightweight and a great performer, much better than the 21mm Zeiss I also own. They are not cheap: the F/4 and F/3.5 go for $300 on ebay. 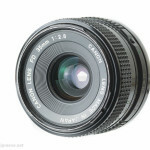 There is also a f/2.8 version that is even more expensive. For me the 4/20 does the job perfectly on the A7RII. PS: Keep it going, very nice work! I don’t know a classic and affordable 1.x/35. 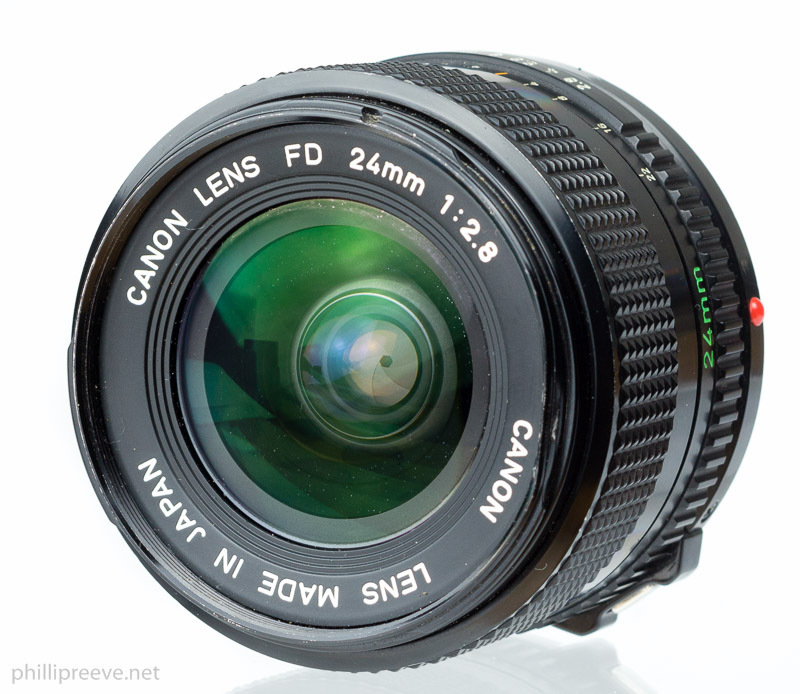 The Canon FE 2/35 is probably the best and it isn’t very small nor very good optically. If you can afford it the Voigtländer 1.7/35 will deliver much better results. Onces more many thanks so far! Can I ask what adapters do you use for those lenses? Phillip, I would propose some candidates for your evaluation: the Auto-Rokkor 55/1.8 and Auto-Rokkor 58/1.4 (but MC Rokkor 58/1.4 seems just as good). 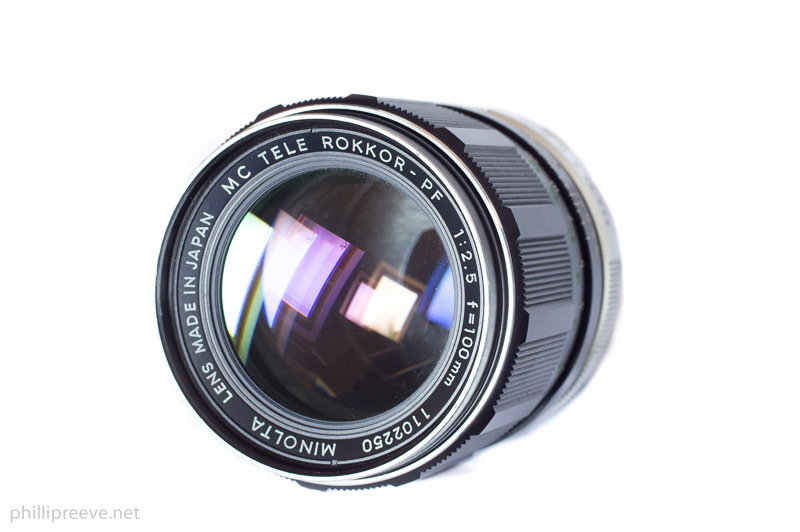 If you want to try an M42 lens, start with the Auto-Takumar 55m F2 from 1958. Stunning sharpness From f2.8, and superb bokeh to my eye. Here is a link to a quick test I did of several camera/lens combinations, but note that this was a close-focus test where I cropped the image files to get similar size of target subject. the 1.4/58 has been sitting in y cupboard for close to two years now but other more interesting (to me) lenses continue to take away my attention. I don’t think I will find the time to give any attention to the other two in the foreseeable future. 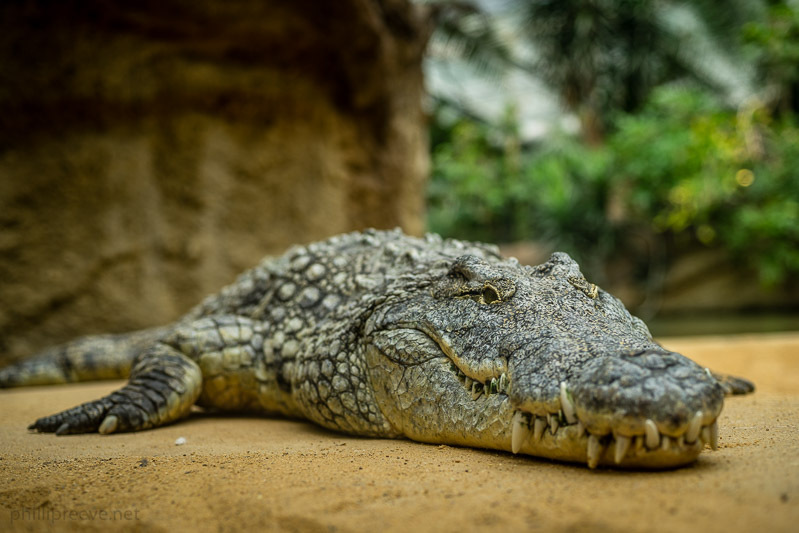 Recently I switched from Nikon to Sony…. I never knew Sony A series is so great untill I visited this site… All the three reviewers Phillip, Bastian and Jannik ; please take a big bow! And thanks for showing options while the native Sony lenses are really expensive for ametures. I’m quite new to photography and as such am hoping not to pour huge amounts of money into it. Would this be a sensible way to start (manual lenses) for a APC-S camera (namely the A6000) and would you make any recommendations choosing i.e. 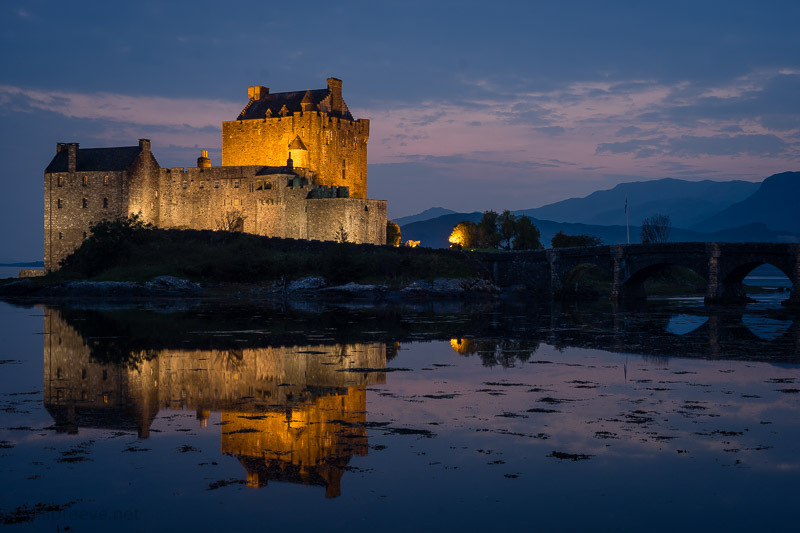 choosing shorter focal lengths to counter the crop factor? For real wideangle coverage I would just use the kit lens but most lenses mentioned here would work well on APS-C as well. A 1.4/50 and a 2.5/100 are good lenses to get started. How is Minolta 24-85mm (f3.5) or 24-105? There is a reason most of the old zooms can be found so cheap: because they are not great performers. This is also why we haven’t reviewed any of those: none of us is interested. I think both have good resolution stopped down to f/8 or f/11 but that’s about all i can tell you about them. Phillip…thanks so much for this post. I was wondering how the Canon EF 50/1.8 STM compares to the other 50’s (used on an A7II with a Metabones adapter)…maybe in particular to the Canon nFD 50/1.4. I ask because as much as I like using manual lenses, I have another kit that can use the 1.8 STM, and am trying not to duplicate too many focal lengths. Apparently only the later model is best with SN higher than 5623848 and “a wave in the serrated of the focusing ring – the older versions have a serrated but perfectly round grip”. 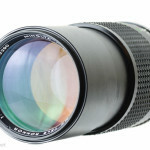 I don’t own this myself but am in the market for a good cheap fast lens and I would love to get your opinion on this lens, as you have a great deal of experience with all the other low cost lenses and could give a well informed comparison. I own one and found it a decent performe but no outstanding in any way. I would go for a cheaper 1.7/55 instead. I’m a bit of a newbie and just bought an A&. I am picking up some of the Minolta lenses to experiment with and had good results so far. Do you think a 1.4 or 2.0 tele converter would be useable without causing image quality to suffer? I am specifically thinking of using it with the MD 4/75-150. I don‘t think a TK would give better results tha cropping, even on 24 MP. Lovely article that brings back the feeling of not needing to be rich to have decent glass. I have tried (and own) many of the listed lenses, and the only reason I don’t use them even more is because I feel bad at not picking other more expensive choices that have sit for long, and are maybe even “better” in many aspects, but they just lack the feel, personality and lovely rendition of these affordable and high quality designs. Another set of lenses that is as consistent as the Minolta, for me, are a subset of the Rollei lenses for Rolleiflex. Imperfect in very non important ways for me, and with some exceptions, you can build a set of Rollei QBM to represent the german version of what these lenses represent from Japanese 60s-80s design. Would cost 3x these but bring a high contrast, more 3D look that makes for less dreamy, more “hyperrealistic” rendering. 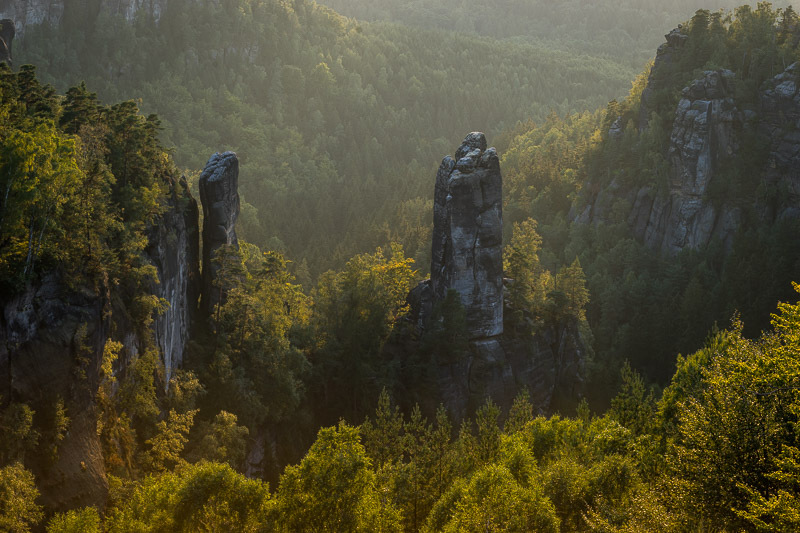 In this range, Distagon 35mm 2.8, Planar 50mm 1.8, Sonnar 85mm 2.8 and Sonnar 135mm (avoid Rolleinars as that would get you closer to Japanese not German rendering). 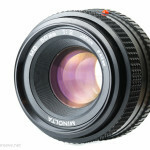 Obviously there are more expensive versions (f1.4), and some that are not good (25mm! ), but I found out they have as much character, and are very different compared to Minolta/Canon rendering.